We normally only seek medical advice when we feel pain or discomfort. 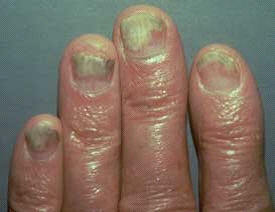 However, visible changes to your fingernails can be early indicators of serious health issues. So pay attention to your fingernails before it's too late - they have stories to tell. 1. 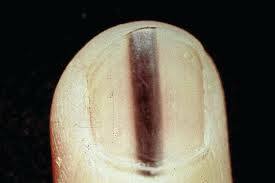 A long pigmented band of black or dark brown in the nail plate, most often on your thumb or big toe. Malignant melanoma, the deadliest form of skin cancer. 2. Wart-like lesions on your nail fold or in the nail bed. 3. 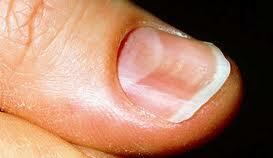 Small dents or pits on the normally smooth surface of your fingernail. Psoriasis. This inflammatory condition can affect the skin cells in the nails, resulting in the nail taking on a dented appearance. 4. Dark nails or thin, flat, spoon-shaped nails. Deficiency in linoleic acid. 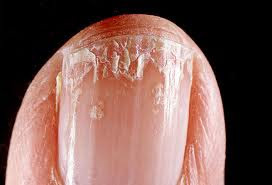 Or constant exposure to cold, dry air or too much water, resulting in the layers of your nails delaminating and peeling. Main culprit is excessive exposure to water. 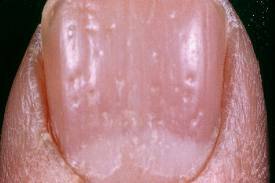 Can also be caused by under-active thyroid resulting in the nail plate drying out and cracking. A diet low in iron can cause nails to become thin, brittle and easily broken. Biotin (a B-complex vitamin) have been shown to improve this condition. It can be a sign of lung disease or diabetes. Yellow spots on your nails can be an indicator of fungus or psoriasis. The above list helps you identify some of the common root cause of why your nails look the way they look. What do you want to do? 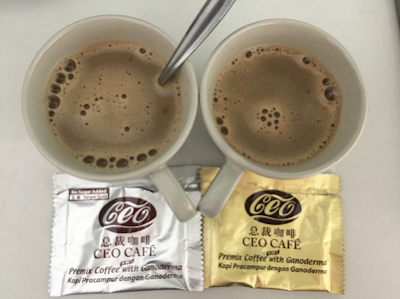 And at the same time, take Ganoderma / Lingzhi plus Yung Kien Pollen.